Exclusive: The number of forest fires in the EU has more than doubled so far this year, according to figures obtained by Euronews, affecting an area twice the size of Luxembourg. There have been 1,671 blazes so far in 2017 – a huge increase on the 639 the bloc saw annually on average over the previous eight years. Experts have blamed climate change for the rise, saying it has extended the traditional wildfire season and increased the frequency of blazes. They have warned Europe’s forest fires will rage more often in the future and engulf new areas. Portugal, Italy and Croatia have all been hit this summer amid high temperatures and lower-than-normal rainfall. It comes after 64 people died in a forest fire in Portugal, with many victims caught in their cars as they tried to flee in June. Thomas Curt, a researcher at the National Research Institute of Science and Technology for Environment and Agriculture, said global warming was a factor in Portugal’s deadly fire and that climate change had extended the wildfire season from two to up to five months. “We will see a lot more surprises and fires burning in places that don’t have a fire history,” Held told Euronews. “Spain burns, yes, but it’s not a surprise. Held said Germany, the Netherlands, Denmark, Austria and Switzerland could be among the countries who see more wildfires than they are used to. Last year a study led by the University of Leicester revealed Catalonia, Madrid and Valencia as the European areas most at risk of wildfires threatening people. “I would say it’s the weather and weather is the short-term of climate. We do have these more extreme weather situations more often, so this is climate change,” Held continued. Held, a forester and a fire specialist, called for more to be done to prevent fires by managing the land better. 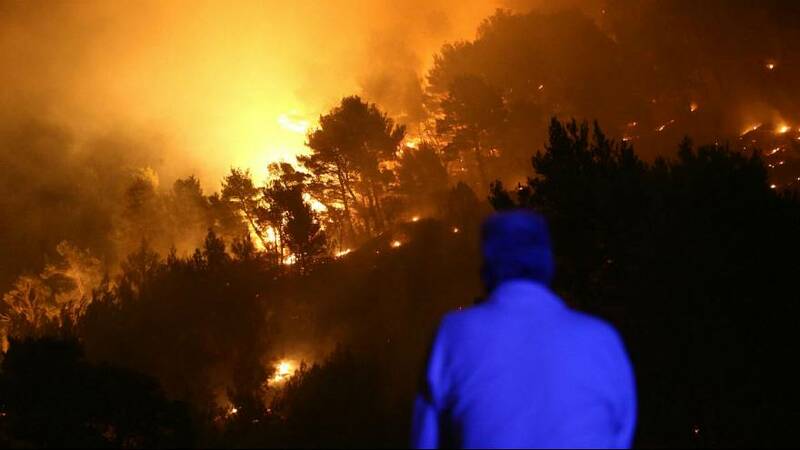 He said the land hit in Portugal’s deadly fire last month was owned by forestry companies who had no incentive to limit their profits by putting in fire breaks. “There’s nobody on a European level to say yes we need helicopters and the fire service but let’s take 10 percent of the firefighting budget and invest that in strategic vegetation management,” he said. “Firefighting is expensive, with all the vehicles and aerial resources. It would be a fraction of this budget to invest in managing the land. “Or compensate a landowner if he is cutting fire breaks or providing better access to his land or if he does a risk analysis. “At the moment this is very neglected. The reality is firefighting is very political and business-driven, especially with helicopters and aircraft.